Busted! That’s the thought that goes through my mind on those occasions that I see a beautiful buck walking down a game trail towards my tree stand with his head down feeding on whatever may be along his way. Then all of a sudden, his head comes up, there’s a slight twitch, and in 3 great strides he is into the dense brush or over a fence, leaving me cursing under my breath. It’s my own fault as it is quite obvious he caught my scent and took off like a bat out of hell. Whether you are hunting with a bow from a tree stand, or at greater distances with your favorite deer rifle, not understanding how wind direction and velocity plays a crucial part in hunting Whitetail Deer, Elk or just about any similar game animal, is probably one of the greatest reasons for going home disappointed. Using the wind to your advantage just requires a little understanding and some common sense. Wind velocities also have a great effect on how scent disperses, light winds and thermals can dictate which tree stand, or direction you enter a hunting area from as opposed to winds of greater speeds. Thermals are usually lighter winds that are generated from air that is warming or cooling, often depending on the time of day. Much of the land I have access too is in hilly areas or in valleys, so understanding thermals is of great importance. In the morning when it begins to warm, this warming air will tend to rise and move up a hill, while in the evening a cooling trend will let air drop back down the hills and into valleys. By understanding this you will know whether to hunt above or below specific areas or deer trails. When wind is moving at higher velocities, it’s important to understand how the topography can affect its movement and thereby the scent that this wind carries. Look at a stream and see how various rocks and obstructions change the course of the water before it converges again. Now picture that as wind moving around hills, cornfields and stands of trees. Trees and foliage can push air higher or force it down quicker along with your scent. Get the picture? For this reason I usually have several tree stands set up so I can take advantage of the current and prevailing wind conditions. I may also consider several possible directions to get to that stand as well. If it gets too windy or blustery then its quite possible deer will feel more comfortable staying bedded down to avoid make a mistake as its harder to pick up scent and sound in really windy conditions of perhaps over 20 mph. successful hunt. Don’t forget that humidity will also play a huge part in the deer’s ability to not only pick up scent in the air, but on the ground as well. Humid air or a slight mist will hold scent on the longer and also give a Deer a better idea of the direction and movement of any potential danger. Think of an old fashioned Television antenna that when turned around a bit, the picture becomes clearer. Older, Trophy Deer have learned how to use their senses better, that is how they grew to be Trophy Deer and harder to harvest. This doesn’t always hold true during “the Rut” as adult Bucks can become just plain stupid when their need to reproduce takes over for common sense. Let’s briefly talk about what we wear when going into the woods hunting. The bottom line is although we can minimize our scent to a great extent we really never completely eliminate it, so no matter what products you use, it important to use it in conjunction with an understanding of wind direction. When you wash your clothes make certain you are using a scent free or scent eliminating detergent, meadow fresh ultra-Tide will not do! Make certain all your clothes are scent free and its best to place them immediately in a sealed plastic bag to avoid them being contaminated with any household scents. I prefer to put on my layers of clothes once I get to where I am parking the car and do it outside. I also make sure I take a shower before I go Deer hunting and use only scent free soaps and shampoos. Remember, the less attention you pay to clothes and hygiene, the more you need to pay to wind direction. They even have scent eliminating chewing gum. 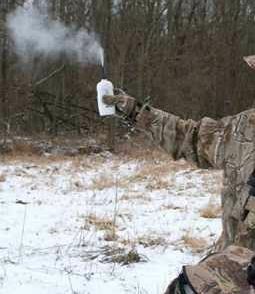 Once you are geared up and ready to move into your hunting area, it’s always a good idea to spray down with a scent eliminating spray. Don’t forget your boots as they will give you away to any Whitetail Deer that cuts your path. Many people prefer rubber boots to minimize this possibility. 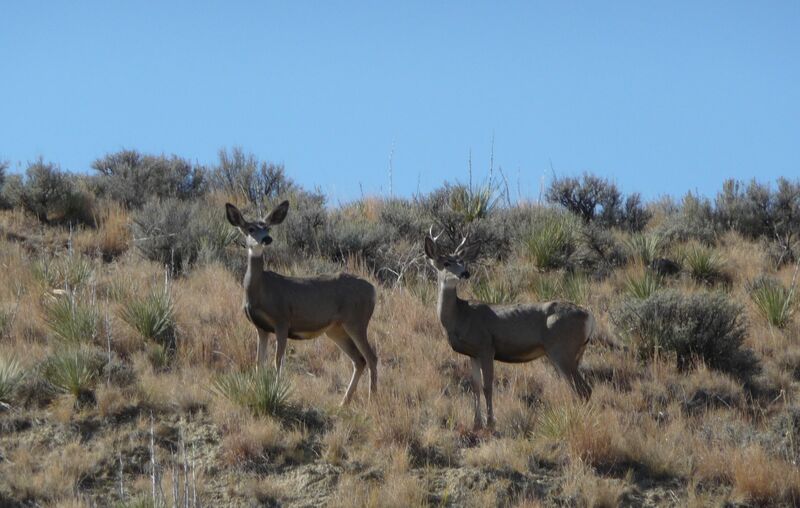 These two Wyoming Mule Deer caught my scent, BUSTED! 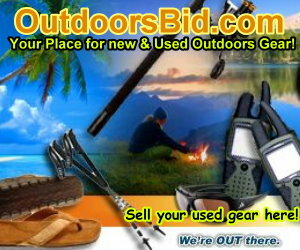 Ok, you are now ready to move to a deer blind or tree stand but which one? You should have already chosen this by checking wind directions. There are even apps for smart phones that use GPS and weather stations to give you wind direction at your location, but I still prefer a Puff bottle filled with some type of scent free powder that when squeezed will show you the direction of the wind at your location. Watching leaves and grass works too. Move towards the stand that will place you on the downwind (or semi-downwind) side from the Deer trail you are covering. Deer coming from the upward side will have difficulty smelling you if you have prepared properly. I have had Deer walk right under my tree stand when I was positioned properly in regards to wind direction. I have seen them walk by me and then pick up my scent about 20 yards downwind and then take off like a bat out of hell! Like the wind these rules concerning wind can change quickly depending upon velocity and other conditions and terrain. These are just some general rules to assist you in understanding how to hunt Whitetail Deer by understanding wind. 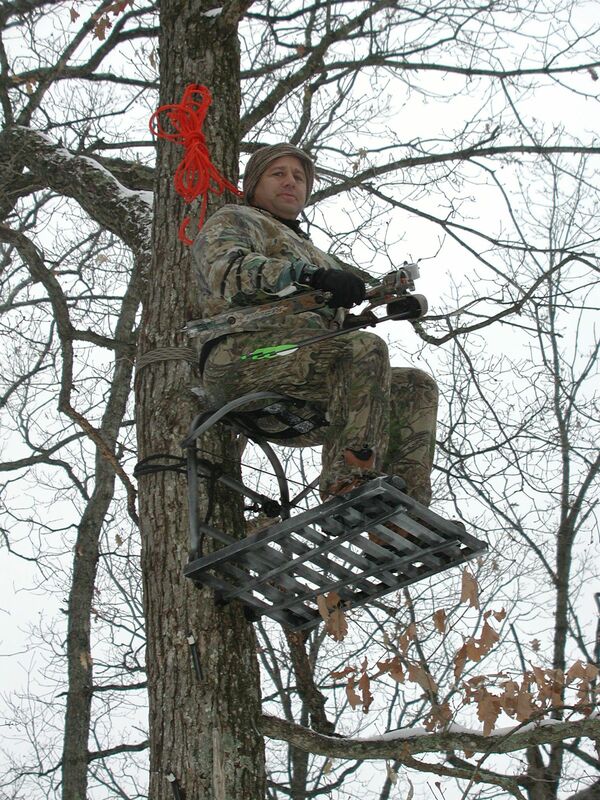 I asked some friends who have hunted with disabled hunters and we agreed that you have several options. The first is set up blinds in areas that you can drive to yet would be in a spot that the wind would assist in covering any offending scents. Also, what I have done before is find deer trails that bisect paths you can move on with your chair and place a blind in an area that would provide cover yet be accessible to you. An example is a row of trees bordering a corn or soybean field that you have scouted and know where the deer are likely to come from. I have bow hunted like this and had success right off a path that was actually semi paved. You may consider setting the blind out a day or two in advance, however if prevailing winds change it could be a problem. Let us know how it turns out. Good Hunting! Use of cover scents also works, perhaps check out our food based cover scnets and attractants. Thanks for sharing these tips on hunting deer effectively! I’ll be taking my sons out to hunt this year, and I want to make sure everything goes smoothly. Hopefully I can keep track of the wind so that we can sneak up on our game! This article on Deer hunting probably makes the biggest difference for a successful hunt. Young deer sometimes are a bit stupid and you can make a few mistakes but to see the older wiser deer (big racks) this info is very important. Good luck! Thanks for the information! I had no idea that it’s illegal to hunt deer in certain places. I’m going to make sure I follow your tip about finding out if it’s legal or not to hunt in Texas, seeing as I’m taking a trip there this week. 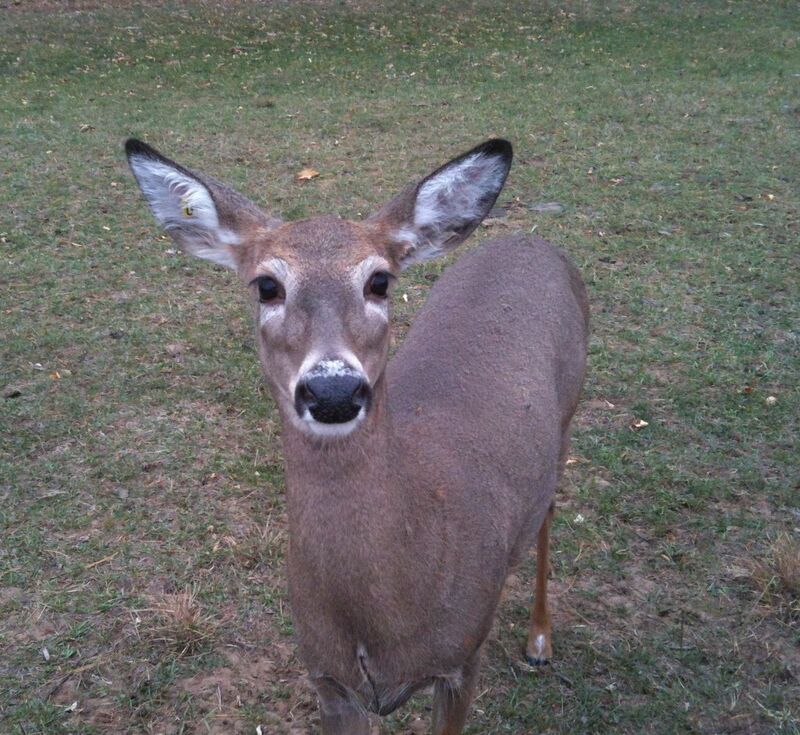 I’ll also follow your tip about watching for wind; it’s crazy that deer are so sensitive to scents!